Onix (ONX) was released on 24th Jun, 2017 and runs without the need of any monetary authorities. It is a mineable decentralized digital currency, using the X11 algorithm and the proof of work (pow) consensus. To calculate your potential profit from mining Onix, check out our calculator. We also offer a mining calculator widget which you can put on your own website. To keep up to date with Onix, they can be found on Telegram and Facebook. We don't have any cloud miners listed for Onix yet, check back soon! We don't have any exchanges listed for Onix yet, check back soon! Visit our full onix mining calculator. We don't have any wallets listed for Onix yet, check back soon! 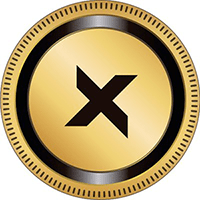 We don't have any debit cards listed for Onix (ONX) yet, check back soon! We don't have any price charts listed for Onix yet, check back soon!